After my brief bout of Gursky dissing yesterday I came across Chris Jones' view of the Gursky show/new work on his blog (Chris is a Canadian photographer living and studying in London). 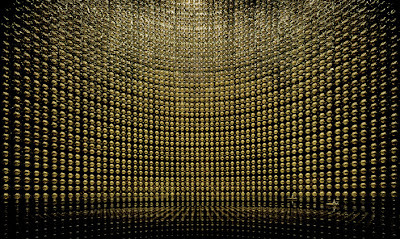 The White Cube opened a new show of Andreas Gursky's photographs on Thursday. It is powerful stuff, an experience of sheer retinal overload and visual opulence. The pictures are even bigger than before, approaching bill board size. The image above is of a massive water tank / neutrino observatory; the scale becomes obvious only when one notices the two small boats in the lower right. This has to do with Gursky's use of the potential of digital technologies to achieve his vision. 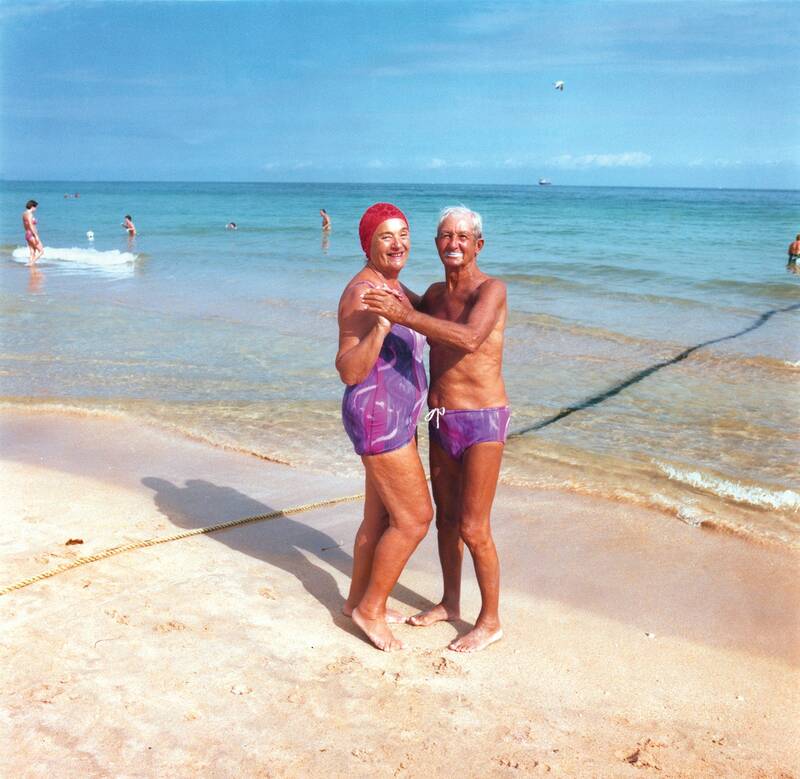 To begin with, he approaches images now, as most photographer artists do, without the constraints of the frame. Images are constructed using various instances or perspectives, assembled into a final frame, but coming from many. This is representative of how in the age of digital new media, the traditional notion of the image has become obsolete. The frame has been exploded, images become programmable. I'm interested in ways of blasting a way through the perspectivism that holds photography in it's grip. I'm not quite sure that was Gursky's intent in this case, and without seeing the (massive) works first hand, I'm not sure if it manages to do it. I remember a long time I went to a show of paintings from the St. Petersburg Hermitage, and there was one painting that must have been something like 15ft by 24ft or so (I'm not making this up, it was huge), and when I stood in front of it it was an experience I had never had before. It was visually so amazing, both because of the scale and the way it was done - the colours were almost glowging - that I must have spent a long time taking it in. So why not get this from photography? Oh - I have nothing against the size (did I say that somewhere on this..?) - in fact quite the opposite. I'm not part of the crowd that is cynical about big photographs - "if you can't make it good make it big" - No - make it good AND big, if it works for the picture. Indeed what you describe was something of my experience the first time I saw some Gurskys at the Tate Modern. And it may indeed be as Chris says, that the force of the work depends in part on it's impact on the retina - size and colour and detail. I guess my feeling is that he's done this pretty well already. Is this just more of the same (which obviously isn't always a bad thing) - is he just continuing to do well what he's done before, or is he pushing the boundaries a bit more. I haven't seen any of his newer work in person since I was at his show at Chicago's MCA, but I don't think he's spent yet. He's got a well defined oeuvre, but it looks like there's still ore to be mined. Now that he's an artstar, his access has improved and that's going to work in his favor and have a direct effect on his work. So he's worked out a rather clever visual language and I don't see him abandoning any time soon, nor should he. I don't like reducing the artist to a circus performer--show us your next trick! If my work was starting to sell for $3.5 mil a pop, I might wait a bit to change direction. :) The Bechers have continued to add the same bricks to their typologies for 40 years, so maybe this Dusseldorf grad doesn't feel the pressure to change his course. I have only seen the images online, but my first reaction is that it is good to see a mainstream big-name art photographer daring to delight the eye. Perhaps the pendulum is swinging back towards a point where pure visual interest is not automatically dismissed as suspect or naive. On the other hand, the compositions and the subjects don't seem to be anything particularly new or special. The Kamiokande neutrino observatory photo is almost identical to those produced by staff photographers working for the observatory and for trade journals of various national physics societies. The Pyongyang photo can be found in any number of Natioal Geographic or Geo reportage pieces, not to mention Chinese or Eastern bloc camera club yearbooks. Unlike, "99 cents", which showed viewers something they didn't usually look at hard and long, many of these latest photos are of special, unique, exciting things - things that have already been widely reported, precisely because they are special, unique or exciting. So the question of scale is important, because many of these photos already exist in more modest form, produced for more workaday, utilitarial reasons by less celebrated photographers. Gursky is no longer showing us his personal take on the world, he is interpreting and re-photographing what other people have already identified as important. That's more of a shift that the continuity of presentation might at first imply. I think it's interesting that your following post was about rephotography.